I was supposed to work on back squats today, but my left knee has started giving me fits (enough so I have made an appointment with Dr. Rockett for June 5th). I rode the Airdyne for a while, tried to do some double-unders, then some light back squats. No Go. Switched to bench press and curls. 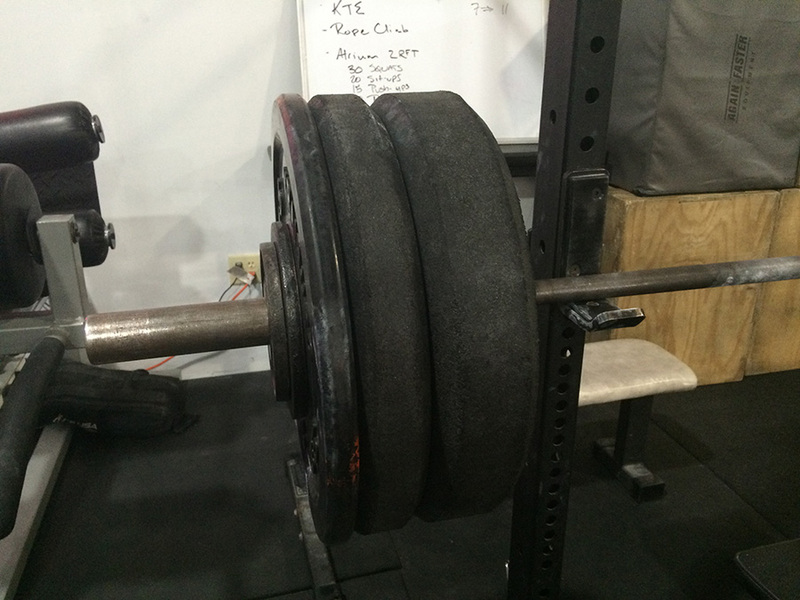 Worked up to a new 1RM PR on the bench at 220#. I am so close to the magical 225#! To help toward that end, I dropped the weight down to 135 and did 5x10 at that weight with dumbbell curls in between. I smashed out around my knee with a barbell for a bit to try to get loose, but the pain persists today.